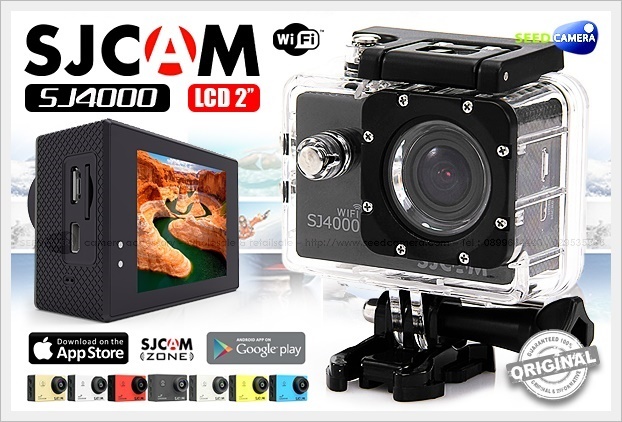 SJCAM SJ4000 WiFi Action Camera has full HD resolution recording at 1920×1080. Wide Dynamic Range (WDR) allows you to Capture warm and vivid Picturesque scenes with the SJ4000 WiFi. The SJ4000 is an incredible little camera for the price. It sports 1080P HD video at 170 degree wideangle and 12 Megapixel still shots with a 6G lens (better than the SJ1000). It also includes all the accessories needed for mounting and using as a dash camera. With its motion-activation capibilities, it can even be used for home security. SJCAM SJ4000 WiFi has a 12 mega pixel sensor for shooting crisp photos and recording amazing 1080P videos. The SJCAM SJ4000 WiFi with high precision super wide angle lens provides superb image quality with vivid colors.